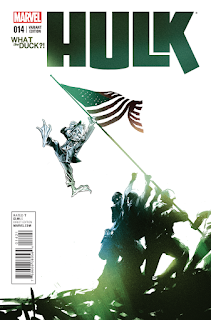 Hulk #14 which comes out tomorrow April 8, 2015 and features Deadpool. A preview of this issue can be seen here. 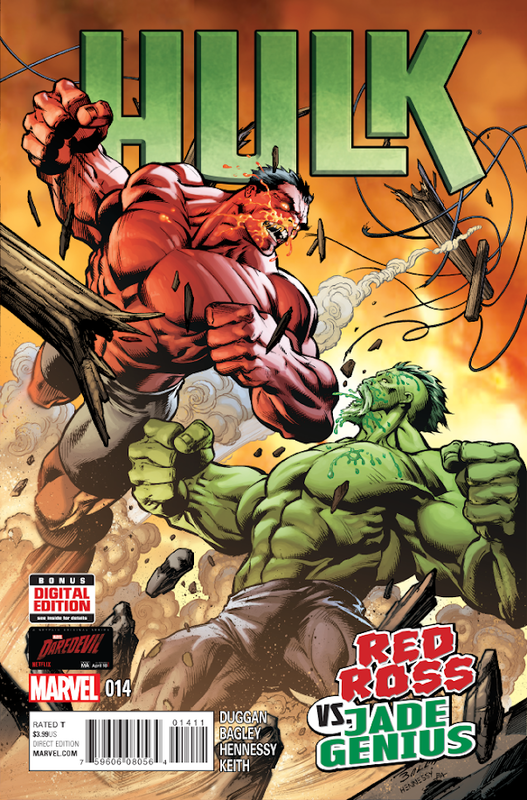 - The battle between Doc Green & Red Hulk changes the Marvel Universe forever! • Doc Green and Red Hulk’s grudge match breaks a few things. • Doc Green proves once and for all: science is difficult, even for the smartest of us. • The US military makes a surprising change to their gamma-monster policy.